Resorts casino and hotel upgraded its sportsbook big-time. ATLANTIC CITY — Resorts had the smallest sportsbook in A.C. Now, it has one of the nicest. Smiles were wide Tuesday as the ribbon was cut opening the new digs that Resorts president and CEO Mark Giannantonio said cost "many millions of dollars." He declined to be more specific, but keep those Eagles bets coming, boys and girls. "Not many people thought this could be built in two months," he said. "But I really wanted it opened for Thanksgiving Day football games." Getting it established and the bugs worked out before the NFL playoffs was the ultimate goal. 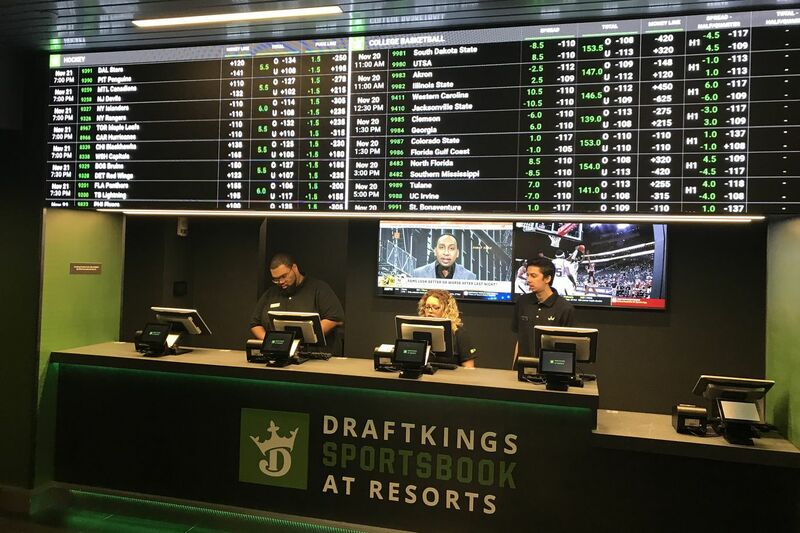 DraftKings will run the sportsbook, which has five betting windows, a dozen kiosks, a bar, and a lounge with theater seating. "This is really well done," said Dave Rebuck, New Jersey's director of gaming enforcement, who has overseen the opening of parlors from the Meadowlands to the Tropicana since the Super Court opened up sportsbetting outside of Nevada in May. The Hard Rock, which is next door to Resorts, will be the eighth and final Atlantic City casino to open a sportsbook. Construction was continuing Tuesday. Resorts' previous sportsbook was a small room in the middle of its casino floor that was as inviting as a dentist's office. The new spot is near the boardwalk entrance and next to the East Wind Asian restaurant. The sportsbook has sushi on its menu. New York Giants Hall of Fame linebacker Harry Carson was on hand to make the ceremonial first bet. He marveled at how gambling was such a pariah during his playing days, but is now being embraced by leagues and teams. Carson, who played from 1976-88, walked up to the window and put $10 on the Yankees to win the 2019 World Series at 7-1. Yo, Harry. Only 10 bucks? He laughed. "I'm a heavy spender, ya know."